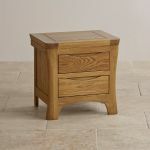 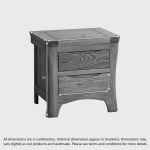 Our Orrick Rustic Solid Oak 2 Drawer Bedside Cabinet is made from premium grade solid oak throughout, blending exquisite craftsmanship with the finest raw materials. 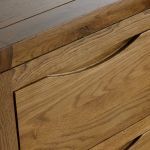 Designed to complement the Orrick Rustic Solid Oak Bed, the table is characterised by softly rounded corners, hand chamfered edges and elegantly sculpted handles. 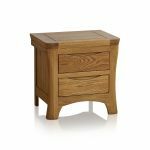 Two drawers offer ample bedside storage – each crafted by skilled craftsmen using traditional dovetail joints and solid oak linings. 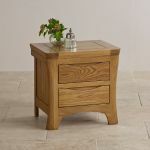 To enhance the natural beauty of the grain and ensure a long-lasting lustre, each piece in the Orrick range is finished with our specially-formulated clear wax furniture polish. 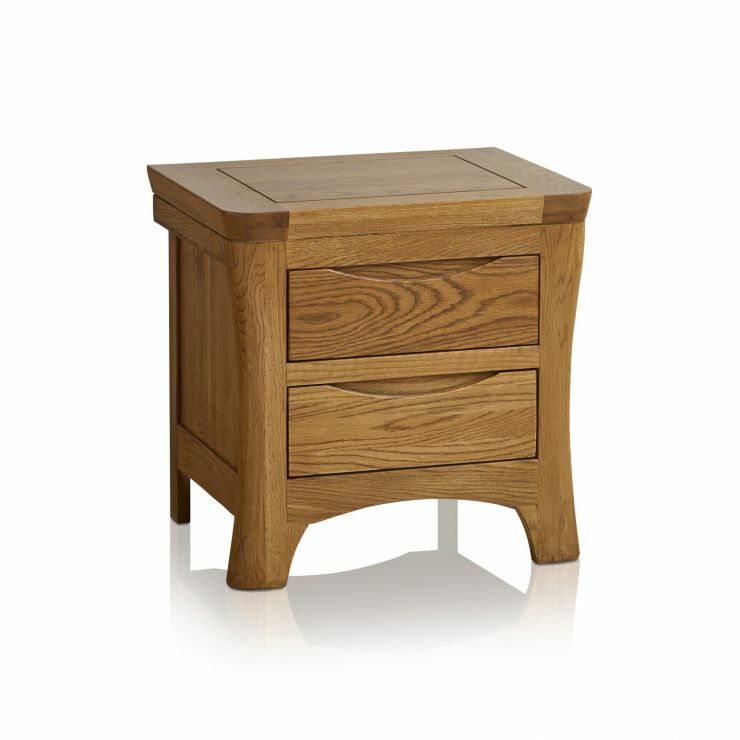 Take a look at the whole collection to discover exclusive items for every room in your home.